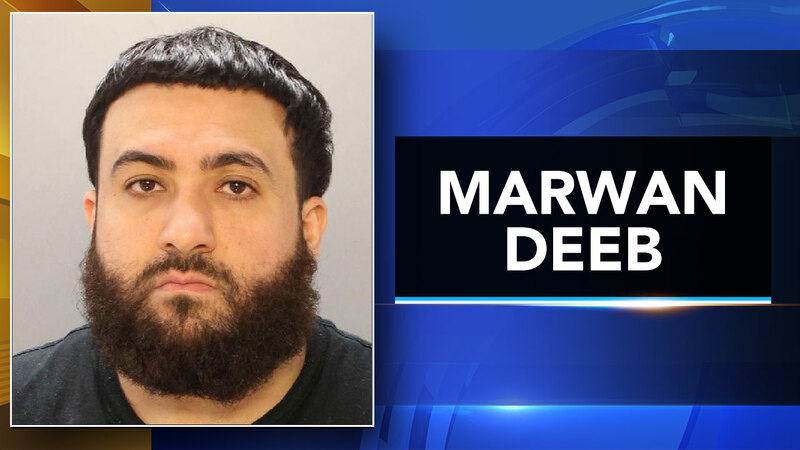 PHILADELPHIA (WPVI) -- Police have made an arrest in connection with the rash of suspicious incidents involving children last week in Philadelphia. Marwan Deeb, 35, of the 800 block of Fanshawe Street, is now facing seven counts of child luring for incidents being investigated as far back as February. Arrest in 3 child luring attempts in Philadelphia. Vernon Odom reports during Action News at 4 p.m. on September 19, 2017. He was arrested after the following incidents earlier this month. On Tuesday, September 12, students told police they were leaving school around 3:15 p.m. in the 400 block of Tomlinson Road when they were approached by a Hispanic male in a black vehicle. The students said the man offered them cash if they got into the back of the car. The students ran away and the man left the scene. Another incident happened on Friday, September 15 around 8 a.m. in the 4900 block of Ditman Street. Police say a man pulled up next to a 10-year-old girl, showed her money and a camera, and asked if he could take her photo. The girl ran to school and told an adult what happened. Also Friday, around 8:10 a.m. in the 5300 block of Jackson Street, police say a man also showed a girl money and a camera and asked to take her photo. The girl ran to Sullivan Elementary School and told an adult. A third Friday morning incident happened around 8:45 a.m. in the 5300 block of Gillespie Street. In this incident, police say a man pulled up next to a 10-year-old girl and told her to come over to his car. Police say that's when the man started unzipping his pants. The girl ran to her school and told an adult. On Thursday, September 14 around 8 a.m. at the Sullivan School in the 5300 block of Ditman Street, a student reportedly saw a man taking pictures and recording children who were in a school yard. On Wednesday, September 13, two students from the Watson Comly School told staffers they saw a man standing outside the school with a mask and dark clothing. The man didn't do anything, police say, but the children considered him to be suspicious. Anyone with information is asked to contact the Philadelphia Police Special Victims Unit at 215-685-3251, or dial 911.